Ibanez introduced Artcore in 2002 and has been the hollow body guitar of choice ever since. The Artcore guitars combination of excellent workmanship and affordability has created legions of fans from diverse musical genres such as blues, country, rock, and jazz. 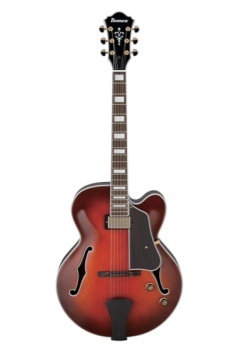 The AFJ81 is a full size hollow body electric guitar. It is equipped with a single neck pickup.